Someone, or something was crying painfully. A woman named Diana Chapa followed the series of sounds until it led her to stand right in front of an old wooden fence which was located at the back of a home all the way in Houston, Texas. As she peered through a small gap, she spotted something that was not good – and it pained her to see it. It was an extremely skinny dog with a very hunched back which was bent over, a cement patio. 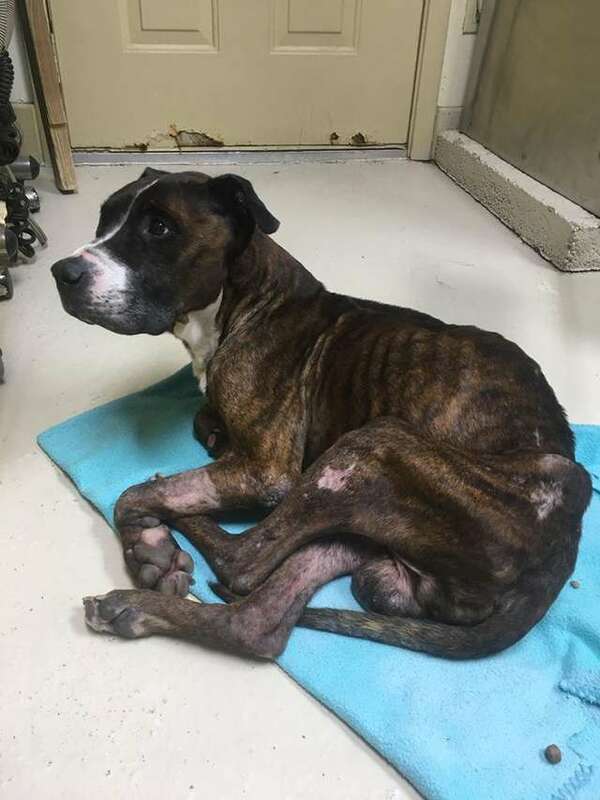 The dog had no access to any food or proper shelter — the property he was found on was emptied. Chapa knew that the poor canine had been cruelly abandoned there and left to fend for himself. 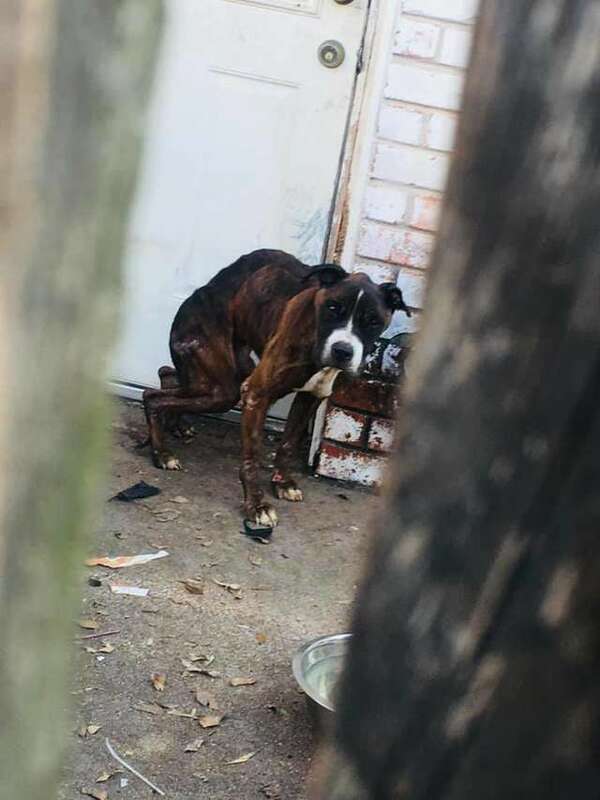 She whipped out her phone immediately for animal control and pleaded for someone to rescue the poor boxer-mix. Sadly, no one came to help him out. “After about five or six or seven days … she finally thought, ‘I can’t take this anymore,’ and she busted open the gate and got him,” Stacey Silverstein, the co-founder of Rescue Dogs Rock NYC, recalled. 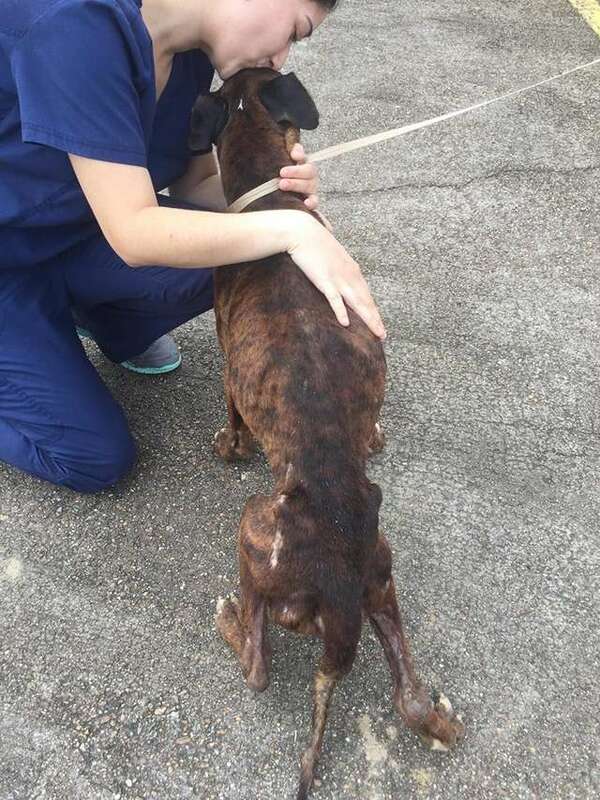 Chapa renamed the dog Joshua, and brought him back to her home where she gave nursed him back to health – bit by bit with lots of tender loving care. “He was so relieved and grateful to be rescued. He took a breath — he just knew he was safe and out of danger,” Silverstein continued. But what had happened to Joshua? He was merely 6 years old and had been owned by one family. 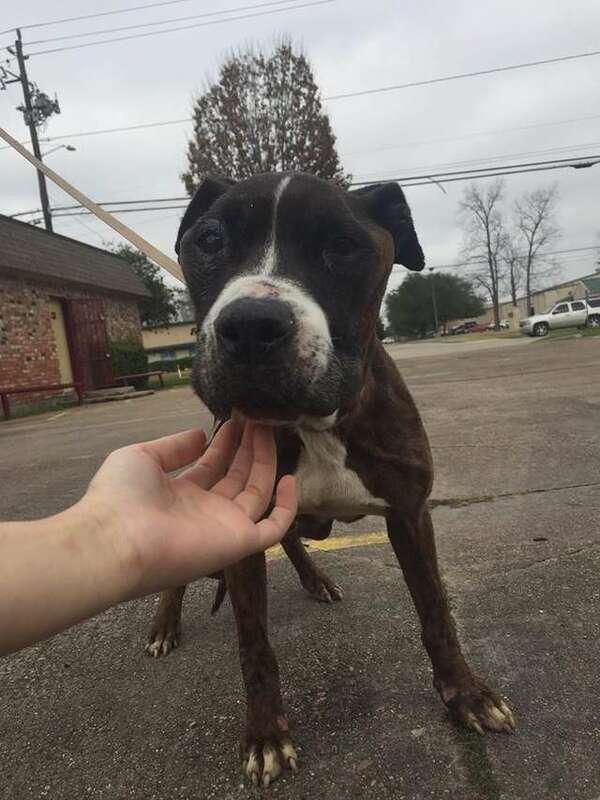 He was also kept outside on the patio for most or worse, his whole life until he was left behind. “He was 100 percent an outside dog. There was no way this dog ever lived inside for one second,” Silverstein added. Joshua was too skinny and malnourished that he very urgently needed to see a vet. The next morning, Chapa ferried him to a local animal clinic where she works as a vet technician. Joshua was actually excited to be at the vet clinic as he was in Chapa’s home – and this was surprising due to the fact that most dogs disliked vet visits. “He’s so thrilled. He’s got food and a kennel and he’s warm. He’s loving on everyone. She said she’s never seen a dog so happy at the vet before,” Silverstein concluded. Joshua is still undergoing medical treatment at present, but would move to New York City once he’s healthier. 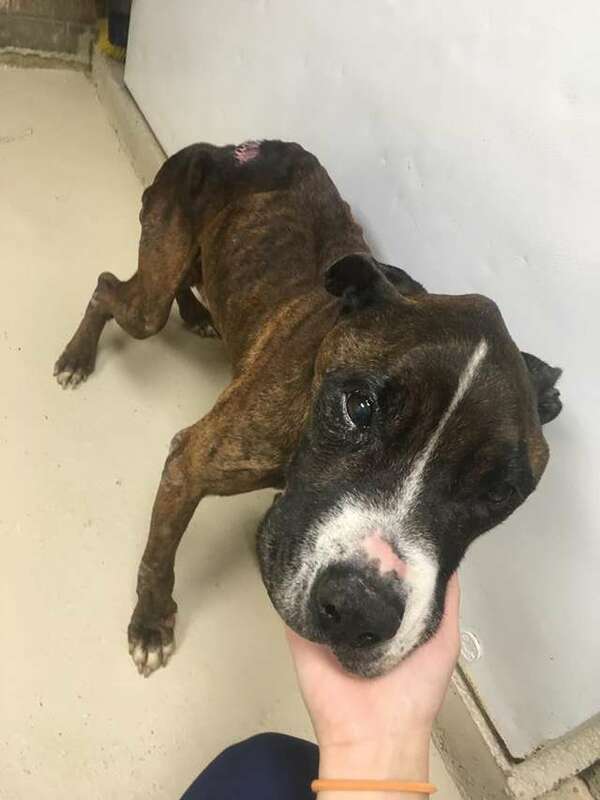 The team at Rescue Dogs Rock NYC will then take over and care for him. Eventually, Joshua would be looking for a forever home – and maybe it’ll be yours!